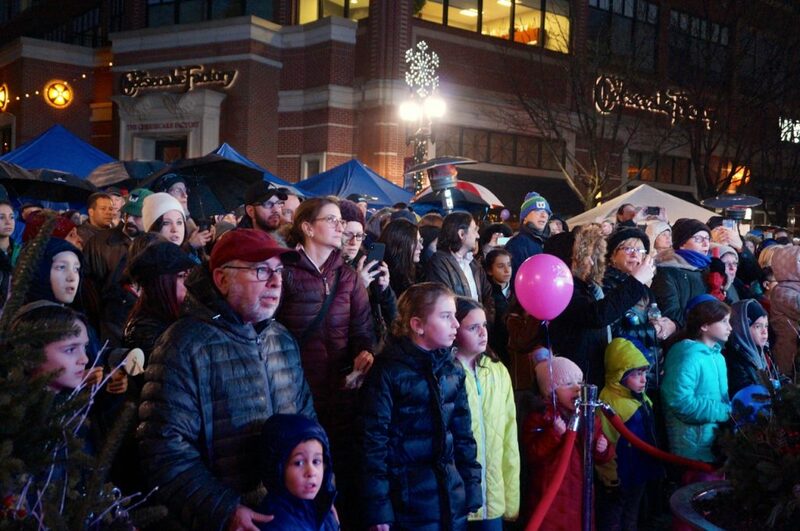 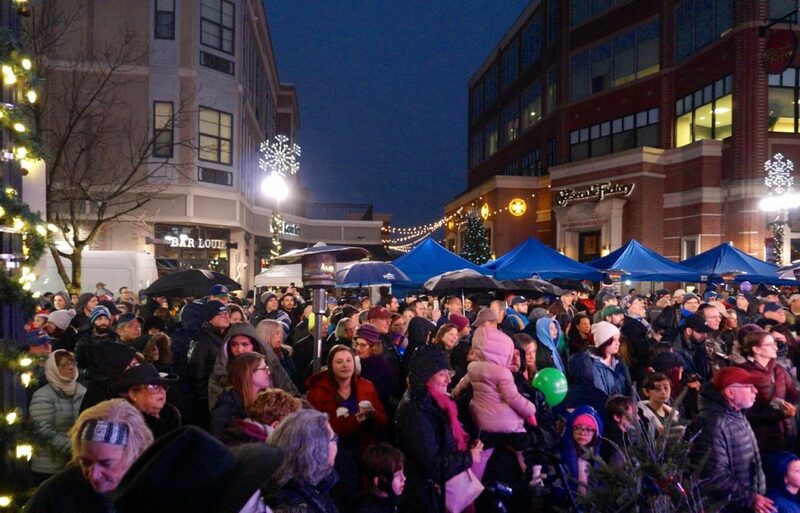 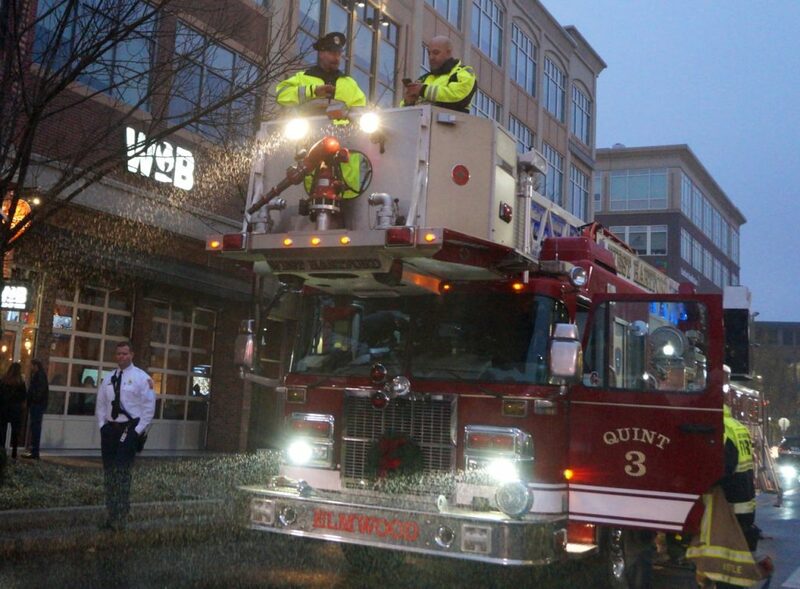 The public enjoyed a celebration of the first night of Chanukah on Sunday at Chabad of Greater Hartford’s annual ‘Fire on Ice’ at West Hartford’s Blue Back Square. 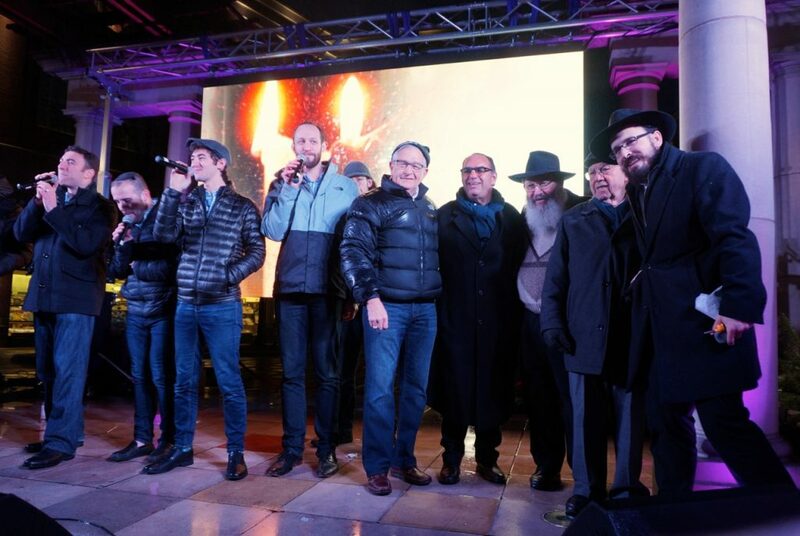 The flames flickered brightly atop the giant ice menorah in Blue Back Square on Sunday night, as the hundreds of people who attended Chabad of Greater Hartford’s “Fire on Ice” on a misty evening prayed and sang together as they celebrated the arrival of Chanukah. 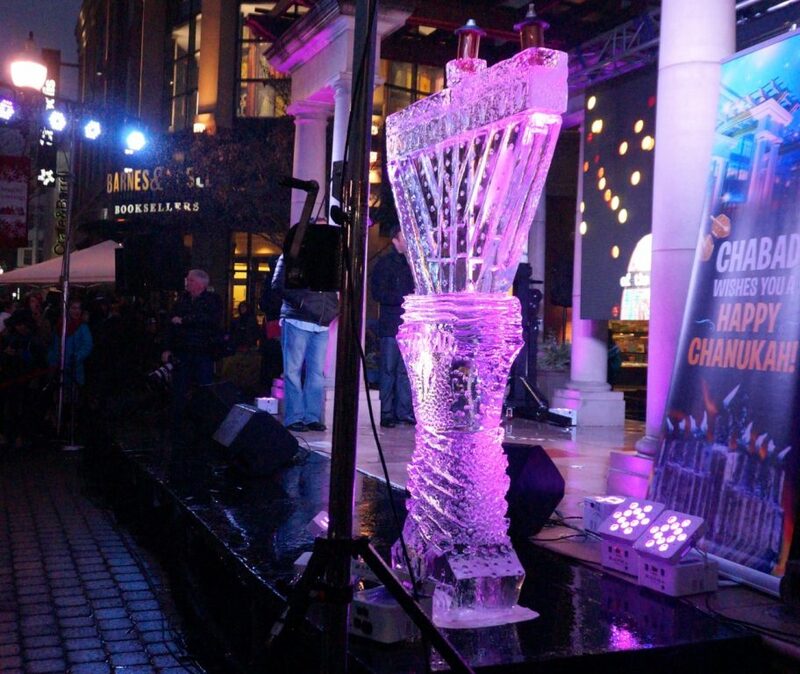 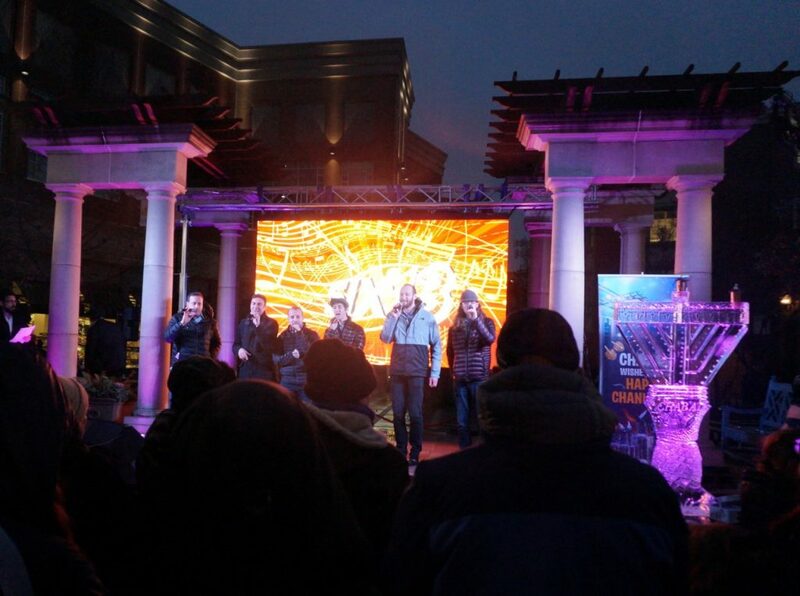 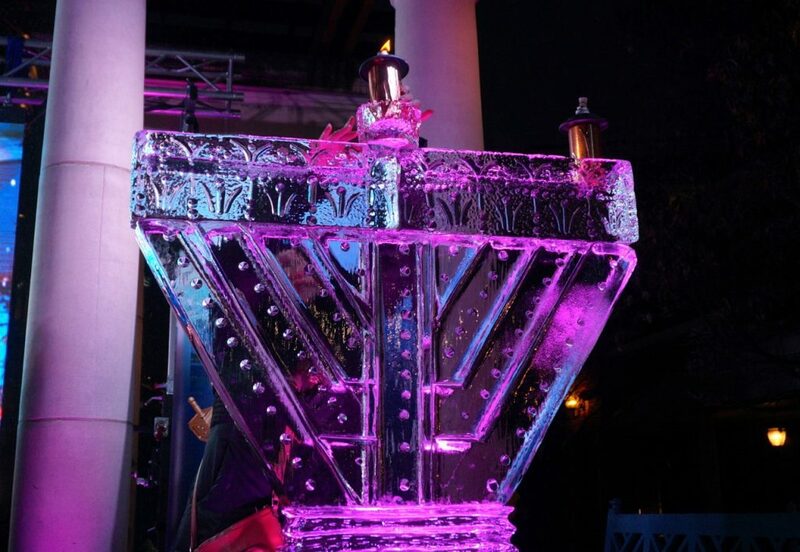 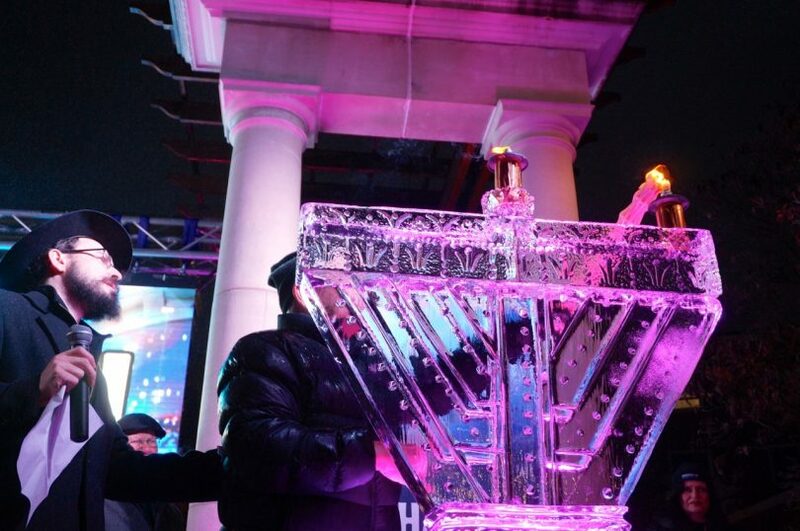 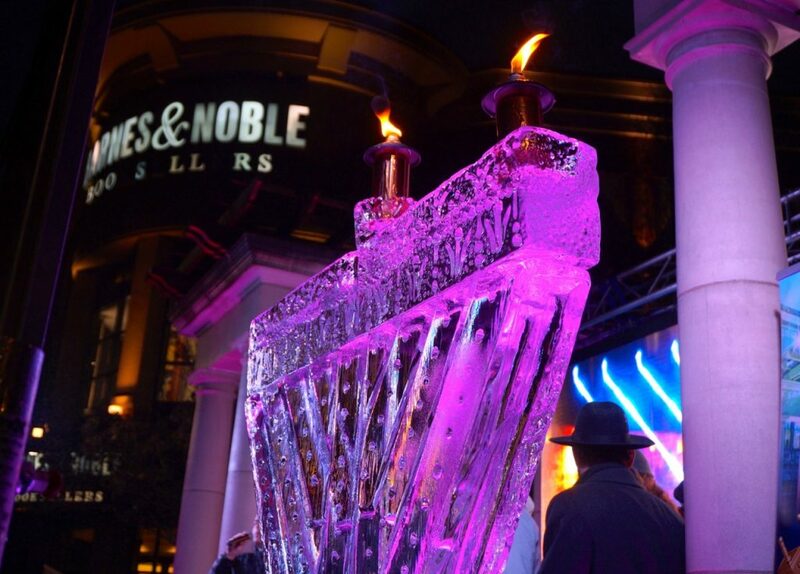 The giant menorah was carved from a solid block of ice, and before it was lit, the crowd enjoyed a performance by the award-winning musical group, Six 13. 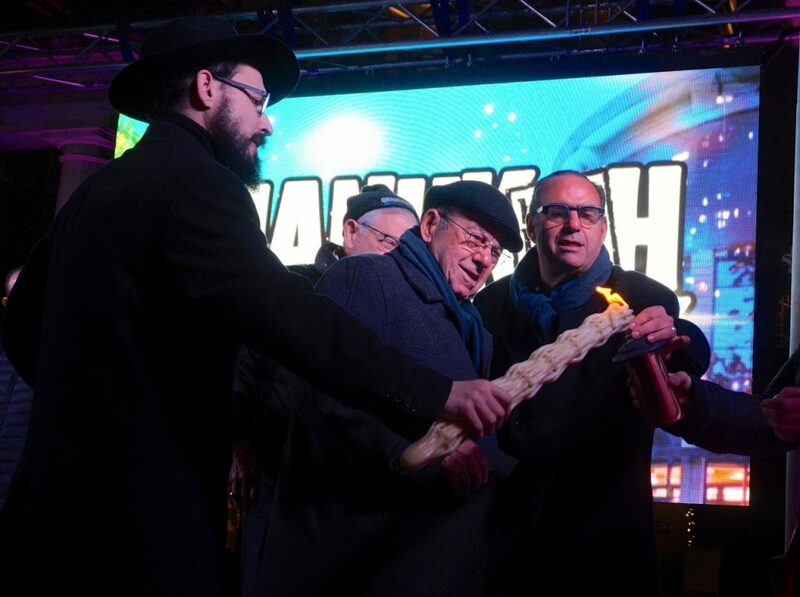 Food, arts and crafts, and other activities also highlighted the celebration. 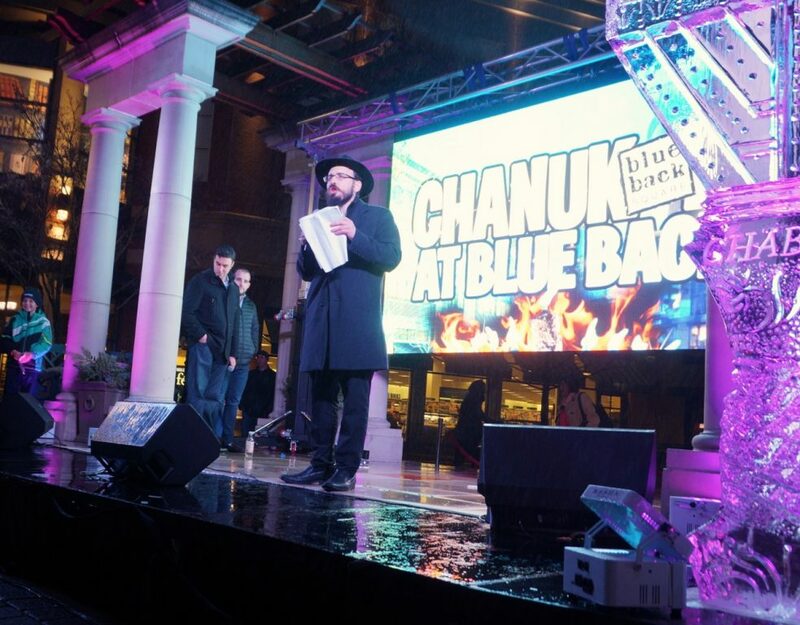 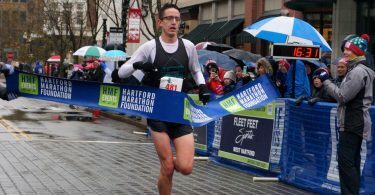 Rabbi Shaya Gopin of Chabad of Greater Hartford, organizer of the 11th annual event, noted that Chanukah is a holiday of light and freedom from religious oppression, where few overcame the many, and light triumphed over darkness. 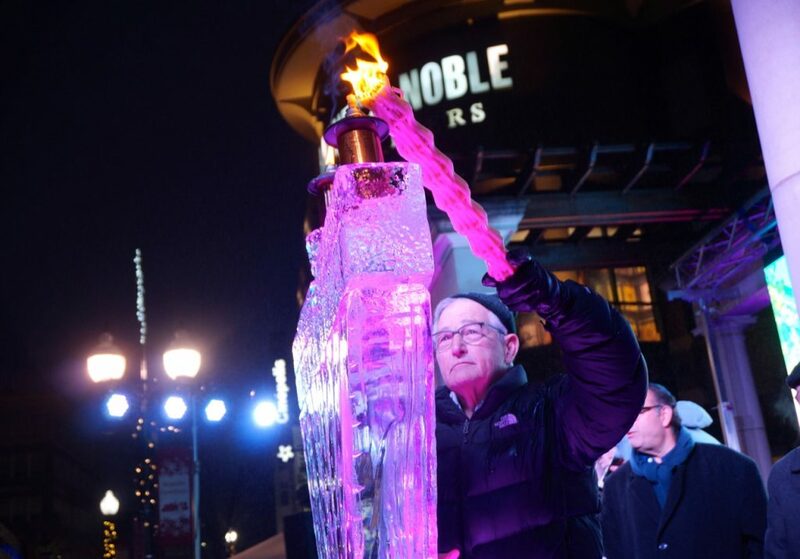 He said that following the tragedy at the Tree of Life Synagogue in Pittsburgh and the rise of anti-Semitism, the theme of this year’s Fire on Ice celebration and essay contest focused on Jewish pride and the spreading of light and goodness to combat this darkness. 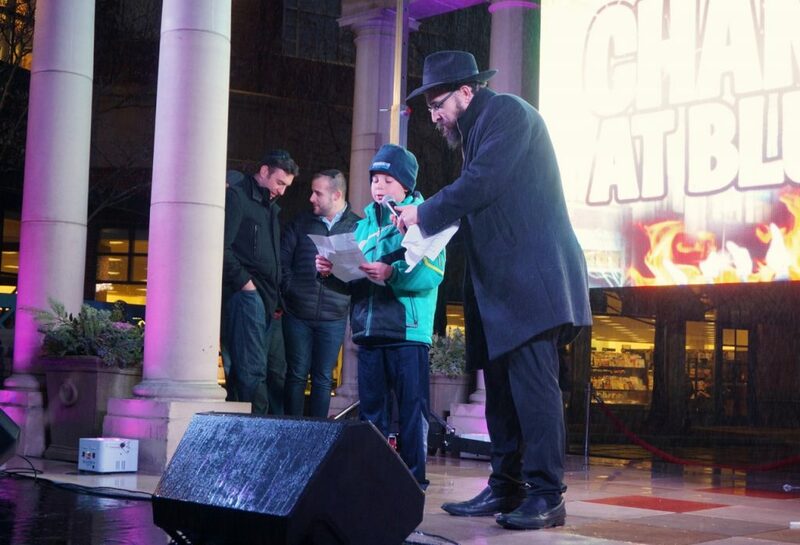 Eric Samuels, an 8-year-old student at Chabad Hebrew School, was the winner of this year’s essay contest, which was based on the topic “How can I spread light?” He spoke about being caring, open, and welcoming as a way to make a difference in the community and serve as an ambassador of light and goodness. 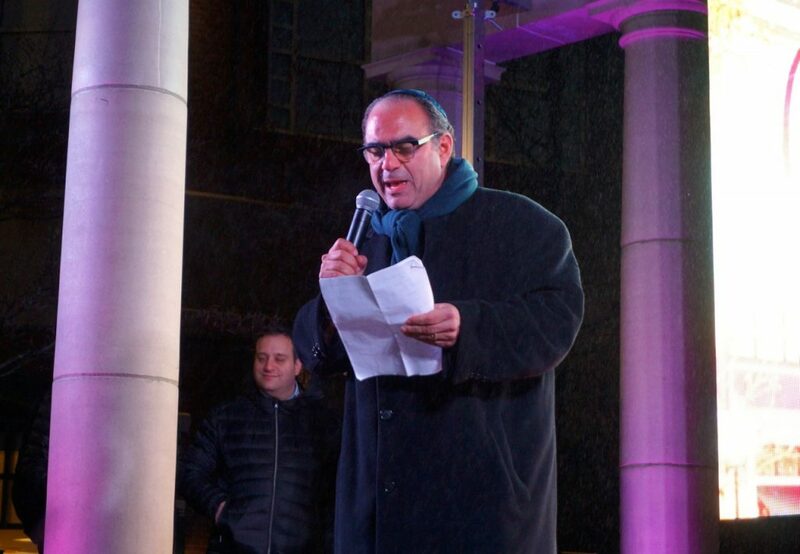 Alan Lazowski, president of the Board of Chabad of Greater Hartford, spoke to the crowd about “combatting hate with light,” before introducing his father, Rabbi Phillip Lazowski, a holocaust survivor, who had the honor of lighting the shamash. 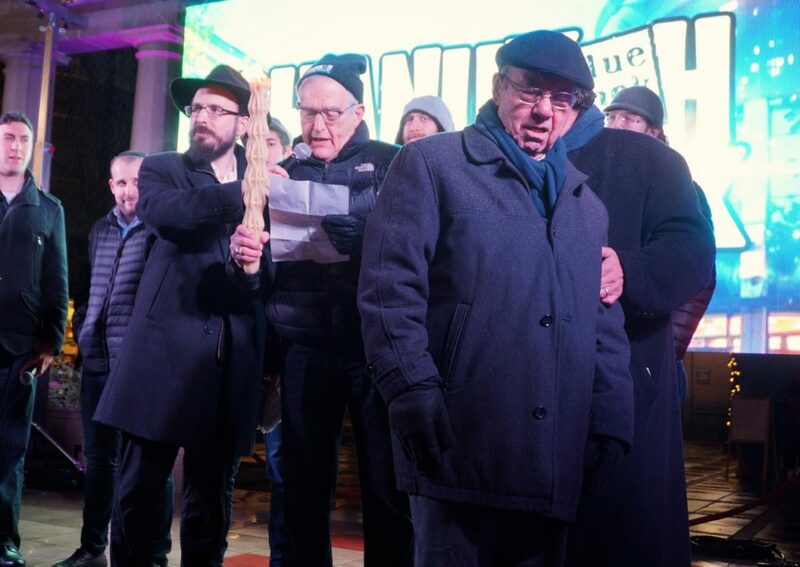 Attorney Coleman Levy recited the blessings, and lit the first Chanukah light as they cheered and sang to end the festivities.